Have you ever wondered how water from the cloud tastes like? If you do, you do not have to keep on wondering because there is a bottled water brand which claims to get its inspiration from the cloud. 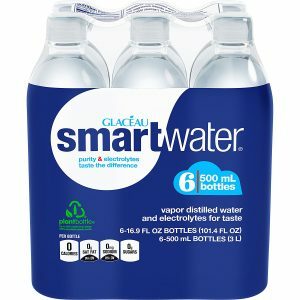 Glaceau Smart Water is vapor distilled water that has added electrolytes for added taste. As a result of the process and the electrolytes, Smart Water is said to have a pure and crisp taste, like from a cloud. Below are the latest Smart Water prices. Smart Water is distributed by The Coca Cola Company, but it is made from British spring water that is vapor-distilled. 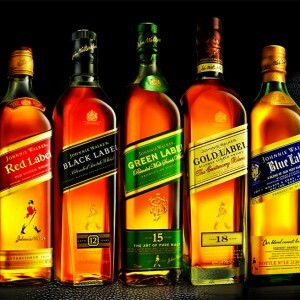 It is also produced and bottled in Morpeth, Northumberland. To put it simply, GLACEAU Smart Water starts with water taken from the spring, then the vapor is condensed, and the right amount of electrolytes is added before putting all the goodness in a bottle. What makes Smart Water different from the standard bottled water are the added electrolytes, but what are they really? Electrolytes are ionized minerals, which carry electrical charges that stimulate the muscles and nerves. These minerals are sodium, potassium, calcium, magnesium, and phosphate. Provided that the right balance of electrolytes is preserved, drinking water with electrolyte can be good for the body. In fact, the National Institute affirms that electrolytes can help the body’s blood chemistry, muscle action, and other processes. Drinking water with electrolyte can also help replenish the minerals that are lost when we sweat. Aside from the benefits of electrolyte water, the unique blend of ionized minerals also provide the distinct taste of Smart Water which is fresh, crisp, and pure. Smart Water may contain electrolytes but it definitely does not contain any sodium, sugar, calories, floride, coloring, and any artificial flavors. Smart Water is also gluten free and does not contain any of the allergens designated by the US Food and Drug Administration. Smart Water is available in five bottle sizes. 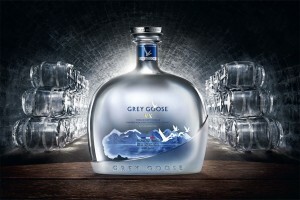 Consumers can buy one in 16.9 fluid ounce, 20 fluid ounce, 23.7 fluid ounce, 1 liter, and 1.5 liter bottles. Each bottle contains vapor distilled water, calcium chloride, magnesium chloride, and potassium bicarbonate. It does not have any amount of calories, fat, sodium, carbohydrates, and protein. Vapor distillation is a purification process which uses a specialized heating process to purify water. During the process, extra molecules and particulates are removed to have the cleanest form of water. Vapor distillation mimics the way water is naturally purified in nature by replicating the hydrologic cycle. Basically, this purification process separates the water molecules, purifies them and then regroups them. Water is vaporized with the use of heat and when the water vaporizes, it leaves the contaminants and dissolved solids. Once the water is cooled, the water condenses back to a purified state. When it comes to quality, Glaceau provides information that consumers may find to be helpful. According to them, most facilities where Smart Water is purified and bottled get their water from municipal water systems, or in simpler words, tap water. However, not all sources are from the local water systems. There are also a few plants which obtain their water from protected underground sources. These sources are managed by the Smart Water bottling plant as approved by the local authorities where the water sources can be found. The purification process of Smart Water involves several rigorous steps to ensure the cleanliness and safety of the water before it gets bottled up. First, the source water passes through a granular activated carbon filtration, which is basically crushed and hardened charcoal. During the filtration process, chlorine and potentially hazardous organic compounds are absorbed. When water is evaporated, minerals and additional impurities are also removed. Water is allowed to cool down so that the water molecules separate from other matters. Before water is re-mineralized, microorganisms are destroyed to ensure water safety and this is done through interim ultraviolet light disinfection. Then, the electrolytes such as calcium chloride, magnesium chloride, and potassium bicarbonate are added for re-mineralization. Finally, ozone gas, which has disinfectant properties, is pumped through the water and this serves as the final purification stage. This final step is called ozonation. Since ozone is a type of oxygen, it quickly disperses into the air and does not leave any residue or taste in the water. Aside from the original Smart Water, another variant was introduced and it was called Smart Water Sparkling. This variant is the carbonated version of the original and was released because of the increasing market demand for sparkling water.